Elderberry Syrup using all organic ingredients! Elderberry Syrup is my speciality, as well as my favorite remedy! 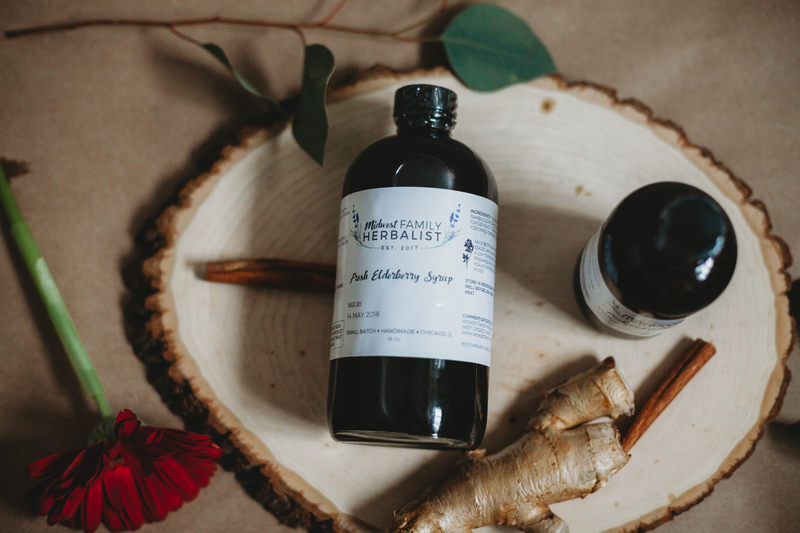 Elderberry syrup is said to be one of the most effective treatments and preventatives for colds/flu. 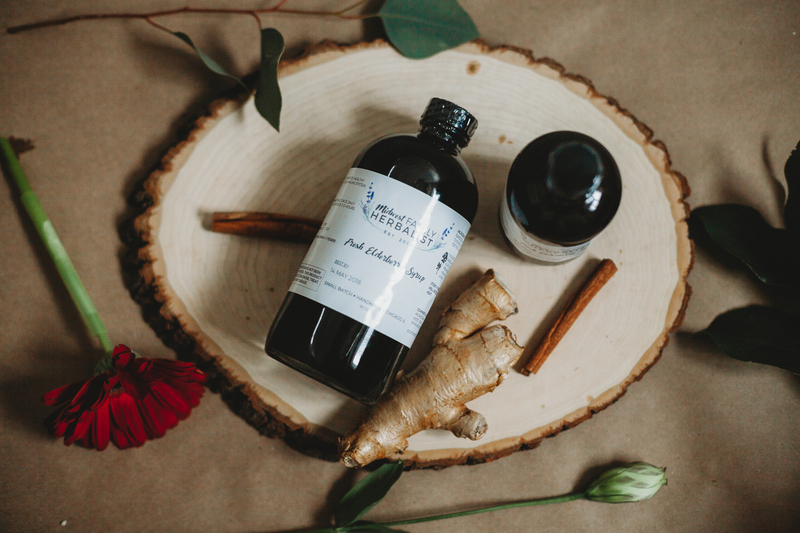 Elderberry Syrup is an excellent way to boost your immune system and stay healthy! If you do get sick, when taken at an increased dose, it can greatly speed up your recovery time! 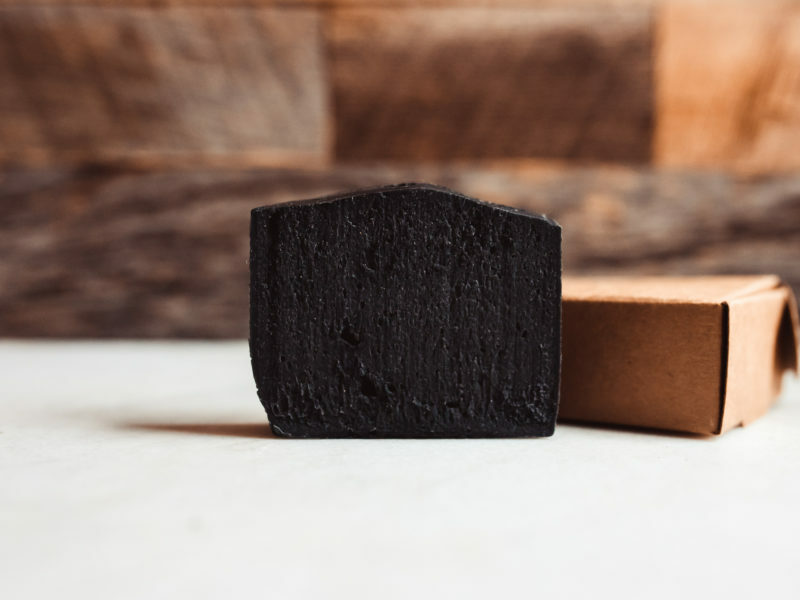 Ingredients: organic elderberries (Sambucas Nigra), organic dried ginger root, organic cinnamon and organic whole cloves, local raw honey. PLEASE NOTE: Our syrups are made fresh to order two times per week: Tuesdays and Thursdays. How long does the syrup last for? Once you have finished making your elderberry syrup, it must be refrigerated. It can normally last 12 weeks in the refrigerator. All dosage is suggested and should be discussed with a healthcare practitioner before use. For daily maintenance, 1/2-1 Tbs. daily for adults. 1/2-1 tsp. daily for children 1 year and older. During illness, take dose every 3 hours until symptoms dissipate. Is elderberry syrup safe for small children? 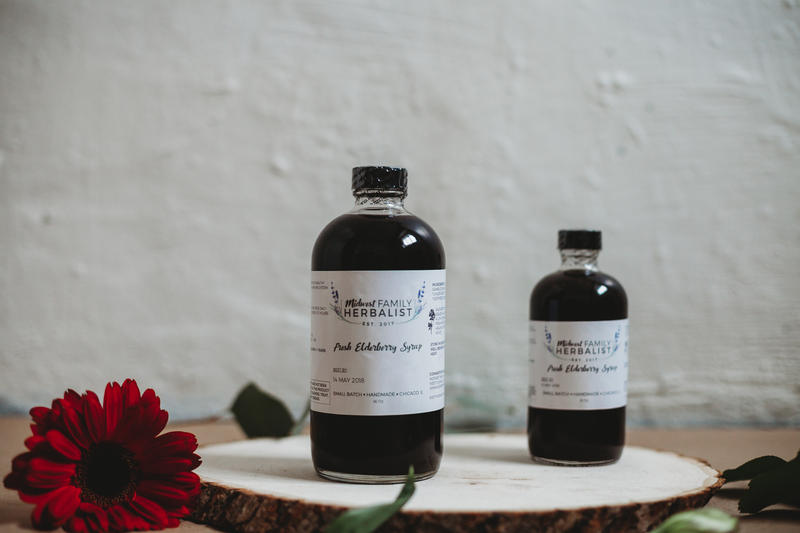 Original elderberry syrup is safe for children over 1 year of age, due to the honey content. Is elderberry syrup safe to take when pregnant or breastfeeding? 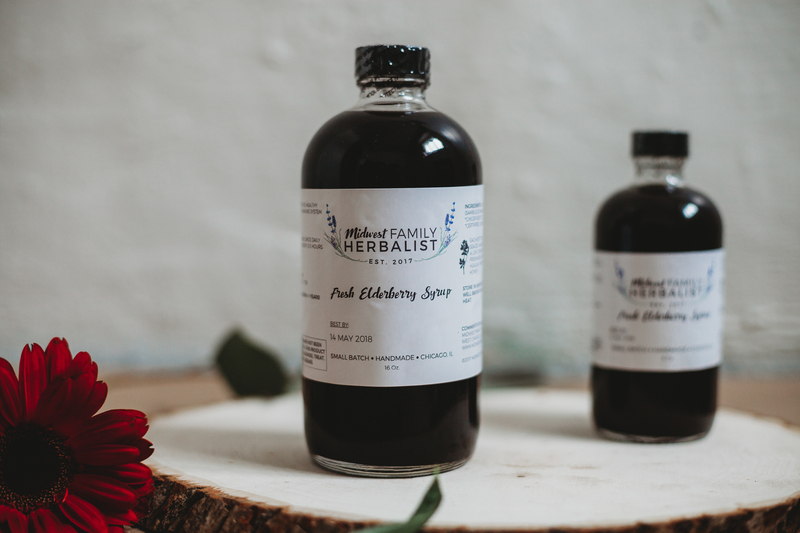 We love Midwest Family Herbalist elderberry syrup. 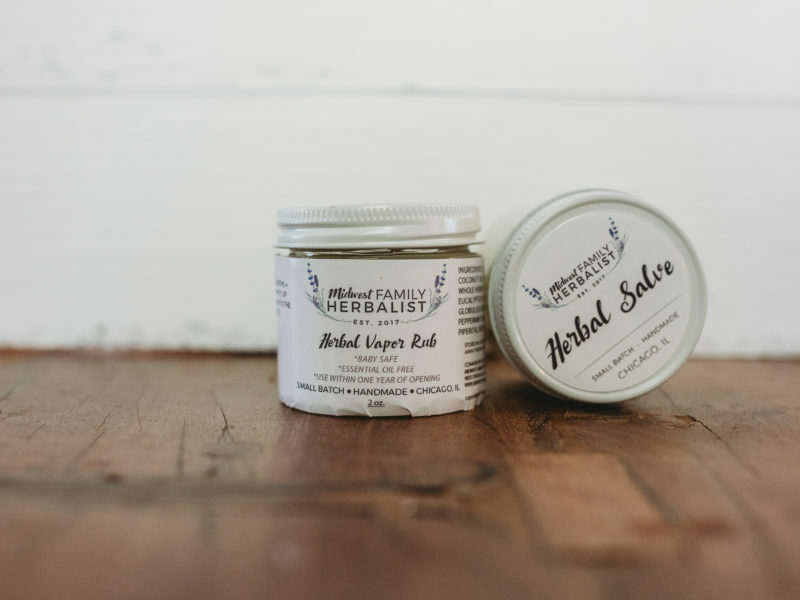 My daughter caught a cold for her birthday and I ordered some quickly to help get her better sooner! 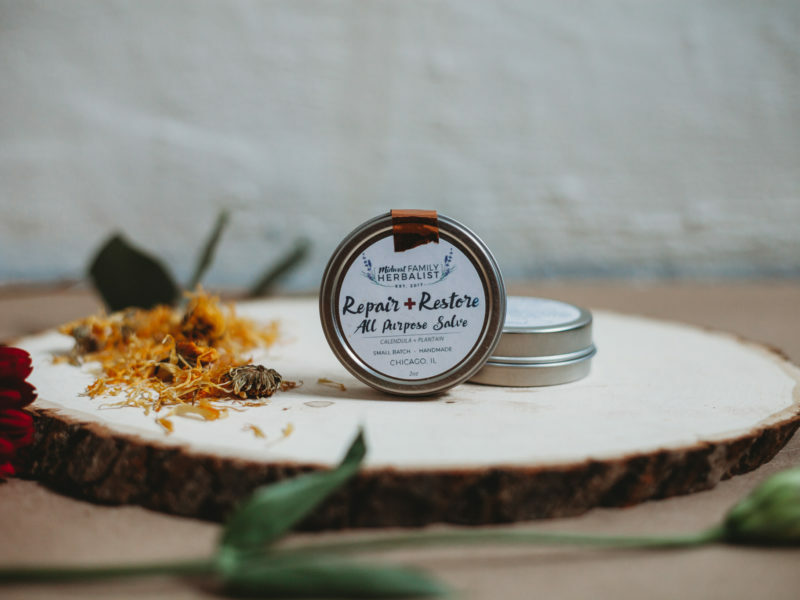 This stuff is amazing and everything Bethany makes is made with the best ingredients and utmost skill and LOVE for keeping others healthy and whole! I absolute love this! My son has been taking it for 1 whole year and I’ve seen a big improvement on his immune system. I love elderberry for my son! I haven’t taken it yet but i am going to start very soon!! !